Is it appropriate to laugh at work? Apparently yes, because it could decrease your stress, make you more efficient and do some fitness exercises by using 19 muscles! 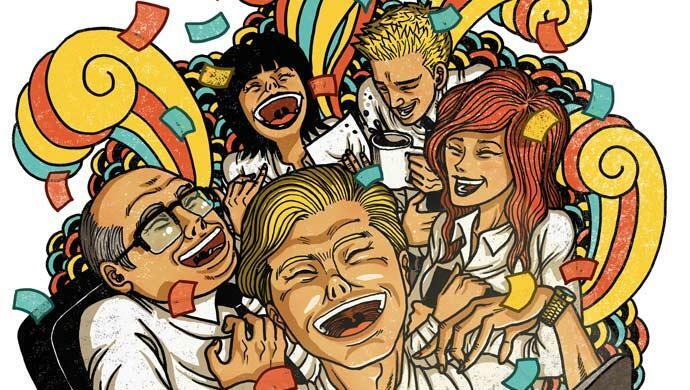 According to science laughter could decrease stress hormone. Since 2002, Corinne Cosseron is working with the laugh. This ex-journalist, laugh-lover, has created L’école Internationale du rire® (International School of Laughter) and helps to bring laughter inside the companies. According to her books, “In 1939, French people said that they were laughing 19 minutes per day, in 2000 they only laughed 1 minute per day”. This statistic is impressive. Our grandparents where laughing more than us! L’école Internationale du rire® works with lots of companies. They generally build a different program for each company, “everything is customized because every company is different” says Corinne Cosseron. She also specifies that the companies are calling the school. “We don’t call them to offer our services”. The process is easy. When a company gets in contact with them one question is primordial: “what is the aim of the intervention?” Corinne doesn’t want to help the company to announce a bad news thanks to the laugh (i.e. : mass lay-offs). Handling stress and team-building. In this way they don’t give theoretical lessons about how to laugh or how you can force yourself to laugh. No. They give advices thanks to exercises: games, relaxation, meditation, sing… “People said, at the end of the day, that it was like a full week of holidays. 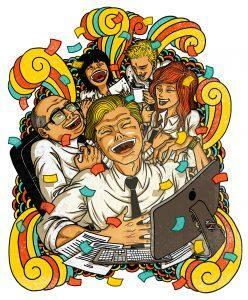 Laughing together permits to create links between people. Laughter is an accelerator of connections between people and it’s repair the stress”, adds Corinne. One of the biggest problem identified by the school is that the companies are using it as a one shot. Laughter therapy is like other training, if you want to succeed in you have to do a follow up. The school has also created the Rire d’or (Golden laughter award). This award is offered once a year and highlights someone who helped people to understand the benefits of laughter and positive feelings. In 2011, the award will be given to Marc Jolivet, a French actor, for his organization, Rire pour la planète (Laugh for the Planet) who send humorists in the French schools to increase children awareness of ecology! In order to help you to laugh more today, here is the best joke! The British Association for the Advancement of Science has done an online survey over the course of one year (in 2002) in 70 countries. They were asking people to vote for the best jokes within 40,000 jokes. 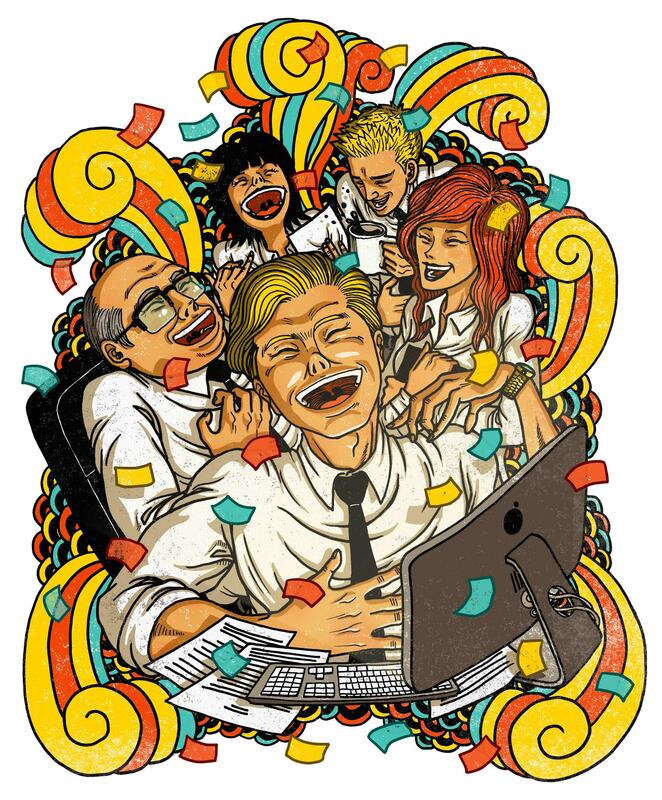 Could be interesting to see in the future how laughter is used in the companies to help to decrease the stress. Maybe some of them will create a joke competition, or a laugh minute. The subject allows us to be creative and numerous ideas can be finding. The stress, in our society, in the workplace and in the everyday life is permanent, so having a weapon to combat that is great. Just try it to measure the effectiveness of the weapon! We will do a follow up! 1 Eliminate your stress in 30 seconds! Stand, foot spread, arms hold out. Start by clenching your fists and contracting your entire body, grimacing … and then breathe out saying “OUF”. At the same time relax your muscles. Close your eyes, breathe deeply and think about a place where you are really happy. Feel the happiness that inspires you. It looks like a fantastic fragrance. Feel the smile that appears on your face!